Beginning a successful career right out of college is something alumni Danielle Roberts holds great pride in and credits much of her success to the Castleton Business Department. Having accepted a position with Aerotek, a staffing and recruiting agency in Burlington Vt., after graduation, the 2013 graduate assisted with all aspects of the companies recruiting efforts. “Castleton has opened doors for me in learning more about myself and where I see my career in years to come,” said Roberts. Although Roberts attended Castleton for only two years of her college career, she said the decision to transfer helped shape her into the person she is today. With qualities such as small class sizes and personalized relationships with professors, she was able to thrive and excel in the close-knit college environment. “The most important take back I have had from going to Castleton is that the teachers sincerely care about their students and will go above and beyond to see them succeed,” she said. Roberts was able to create close bonds with the professors in her department and looked to them as mentors and networking resources. Business Administration Professor Peg Richards served as one of the many professor mentors Roberts was able to build a connection with. She inspired her to pursue a position in Human Resources while also helping her network with a local business in Rutland. “Having the experience to learn more about what a Human Resource Assistant does in interviews helped me decide on different areas I was genuinely interested in doing,” she said. 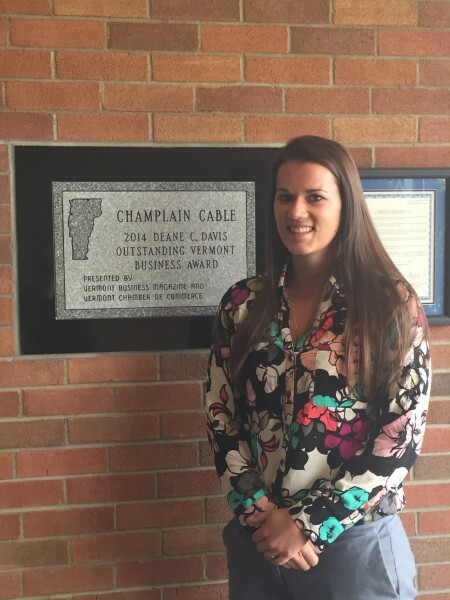 Richards now works as an Inside Sales Representative at Champlain Cable, putting her Castleton degree to good use. “I cannot thank Professor Richards and the Castleton Business Department enough for their help in preparing me for the future and always being there to support me,” she said.